खबर लहरिया » Electricity Production with a Difference! Electricity Production with a Difference! 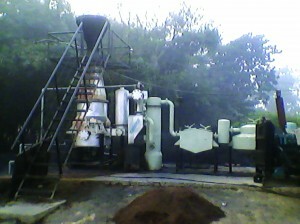 Sitamarhi district, Bihar.We’d only heard about the gasifier machine being used in Uttar Pradesh! But now you see these machines in districts of Bihar too. In Bhutahi village of Sonbarsa block, electricity is produced using paddy husk. And in Kamaldah village of Bathnaha block, not only is the rice mill working on this electricity, but the whole panchayat also gets their power from this machine. 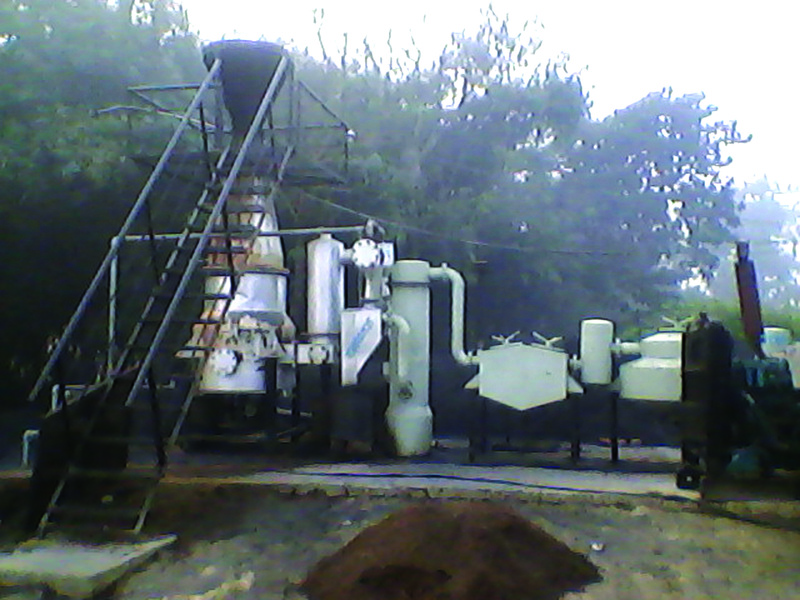 According to Sanjay Mahaseth, Sanjay Kumar and Ajay Sah, who jointly run the Agro Energy Centre Plant in Bhuthahi village, say these machines come from Varanasi and cost 12,75,000 rupees. The machine runs from 10 in the morning to 11 at night, and enables a shopkeeper to run one bulb and one fan, or a TV, and costs them 450 rupees a month. An additional electricity point costs 50 rupees extra every month. The machine uses the husk that is a waste product of the rice mill, and is bought for two rupees a kilo. With no husk, 10 litres of diesel would be required, but using rice husk only 1 litre of diesel is required in this machine. The owner of the plant in Kamaldah plant, Ram Singh said that they get information on this machine from the Department of Agriculture and Cooperation.